Members of the National Academy of Sciences of Kazakhstan and FP5 NCP-Kz created InExCB-Kz, private research, non-governmental and non-profit institution, in 2002. Its main statutory obligations are to support involvement of the Kazakh research and innovation communities into the EU Framework Programmes, and strengthening the EU-KZ cooperation in RTDI. InExCB-Kz was hosting institution for FP5, FP6, FP7, and now is Horizon 2020 National Coordination Point in Kazakhstan. 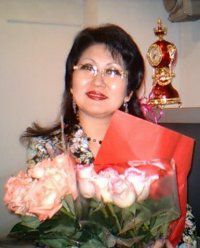 Director of InExCB-Kz, Dr. Kamila Magzieva, was INTAS advisor since 1994; since 1996, she was National Coordinator for FP5, FP6, FP7, and now she is National coordinator for Horizon 2020 NCP in Kazakhstan. In the period of 1999-2014, Dr. Magzieva was Advisor to the Member of the European Parliament, Struan Stevenson, and helped him to realize number of projects concerned to the humanitarian and social issues. InExCB-Kz staff includes Executive Body (Directorate), 16 H2020-NCPs (funded by the KZ government), corps of projects managers, corps of researchers and experts. Structure of InExCB-Kz consists of five departments: Departments of Social Sciences and Humanity, Food and Agriculture, ICT and Energy, Life Sciences and Ecosystems, and Health Research. InExCB-Kz participated in 17 projects co-funded by the EC, such as ICA2-CT-2000-50004-Network-Kz; FP6-501064-ERA-CentralAsia, FP6-INTAS-ININ-NIP-KZ, FP6-023157-InJoy&Train, FP6-SCOPE-2015, ETS1/EUROTRUST, FP6-037116-INTERLINK, FP7-212226-INCONET-EECA, FP7-223358-EECA-LINK, FP7-227204-BIO-CIRCLE, FP7-244417-INCONET-CASC, FP7-KBBE-2B-265608-BIOCIRCLE 2, FP7-212827-EU-PEARLS, FP7-609508-INCONET-CA, FP7-611063-EAST-HORIZON, FP7-613697-DRIVE4EU. InExCB-Kz has experience to be coordinator of the FP6 SSA project ‘Opening up the European Research Area to Central Asia’, in which Kazakhstan, Kyrgyzstan, Tajikistan, Turkmenistan and Uzbekistan key research institutions participated. 7.Secure, clean and efficient energy NCP, which also responsible for Nanotechnologies, advanced materials and advanced manufacturing and processing, and Future and Emerging Technologies, and Euratom. Each NCP creates local thematic networks of the information multipliers nominated in the local institutions, research centers, universities, and SMEs. These networks will support activity of the National NCPs to spread excellence and widen participation of local research and innovation communities in Horizon 2020 calls and events. For the moment H2020-NCP-Kz intends to create ten thematic networks based on previous experience of FP7-NCP-Kz. H2020 NCP system in Kazakhstan includes 52 local thematic networks of the information multipliers at the local institutions, research centers, universities, and SMEs. InExCB-Kz has huge database of the Kazakh and Central Asian research and innovation institutions and governmental funding bodies. The institution has very close and fruitful cooperation with Central Asian colleagues. Staff of InExCB-Kz was involved into development of Kazakh laws on science, tax, and international relations as well as into preparation and signing number of bilateral cooperation agreements. To support local communities to better understand the EU FPs InExCB-Kz developed special training methodology to involve the Kazakh and the Central Asian communities into the EU FPs. The methodology includes different approaches to different groups of trainees: training for newcomers, training for experienced participants, trainings for trainers, multistage trainings, cascade trainings, thematic trainings, and others. Staff of InExCB-Kz has all capacities to carry out not only training and advisory activities, but also conducting peer review, benchmarking, networking, analyzing of research and innovation development and S&T policy, writing the country report and foresight research. InExCB-Kz has very strong experience to organize large-scale events, such as Policy Stakeholders Conferences, brokerage events, congresses, forums, exhibitions, fairs, and technology transfer events. InExCB-KZ is initiator and organizer of series of events: “The EU-KZ: innovation through cooperation” with participation of high-level participants from the European Commission and the Kazakh Government. The first event was held in the framework of Astana Economic Forum in 2013. It was organized together with the exhibition of the European technologies selected at the European Technology Market. The second workshop was organized as a part of the Innovation Congress in May 2014 in Astana. Representatives of the European Enterprise Network (EEN), the EU Knowledge and Innovation Communities (KIC), and the European Technology Platforms (ETP) attended the event. The third conference was held in London, UK, in February 2014 with participation of the Minister for Investment and Innovation, and senior official of the DG Research and Innovation of the European Commission. The forth one was organized in Astana on 2nd October 2015 with participation of Mrs. Maria Cristina Russo, Director of the Directorate for International Cooperation of the Directorate General for Research and Innovation of the European Commission. Each conference fulfils its specific tasks, gradually expanding the range of interests of cooperation between the EU and Kazakhstan in the field of research, innovation and technology. The Astana Workshop discussed cooperation in the field of innovation in the framework of the Enhanced Partnership and Cooperation Agreement between the EU and Kazakhstan. London, UK, 24th February 2015.
togetherrelevant stakeholders and discuss ways to improve R&D cooperation between EU and KZ. of the important Kazakh delegation headed by the Prime Minister. the EU’s Framework Programme Horizon 2020 and Kazakhstan’s Technology Targeted Programme. - Joint participation in the Framework Programme "Horizon 2020"
the priorities set by "Horizon 2020"
- EU-KZ pilot joint call in certain field between the EU and KZ. The workshop will have limited presentations in the first half of day and round-table in the second half. Issekeshev, Minister for the Investment and Development of the Republic of Kazakhstan. The raw materials sector, which should provide macroeconomic stability and financial base growth. The manufacturing industry, which ensures the quality of growth. Innovative sectors or sectors of the economy of the future, which will ensure the country's competitiveness in the future. to environment and tourism, but also to strengthen EU-Kazakhstan co-operation. and ideas with the European Community and to discuss joint activities and possible investments into the Kazakh economy. development, and is open to international cooperation. The key objective of the conference is to facilitate these activities. of Kazakhstan will attend the workshop.